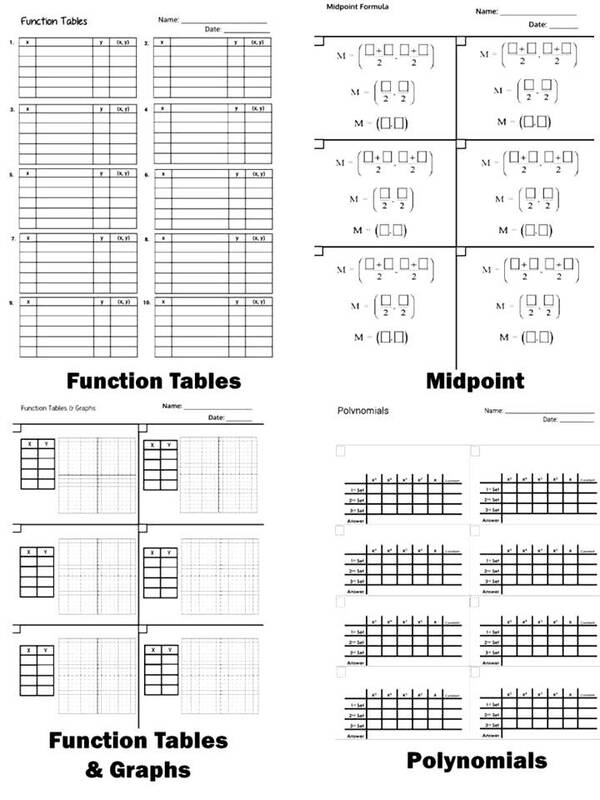 This bundle contains 10 different math work paper templates. This is a 2-page PDF document that contains 12 (6 on each page) blank graph templates that can be used for Bar Graphs, Histograms, Line Graphs or Scatter Plots Work Paper Template. 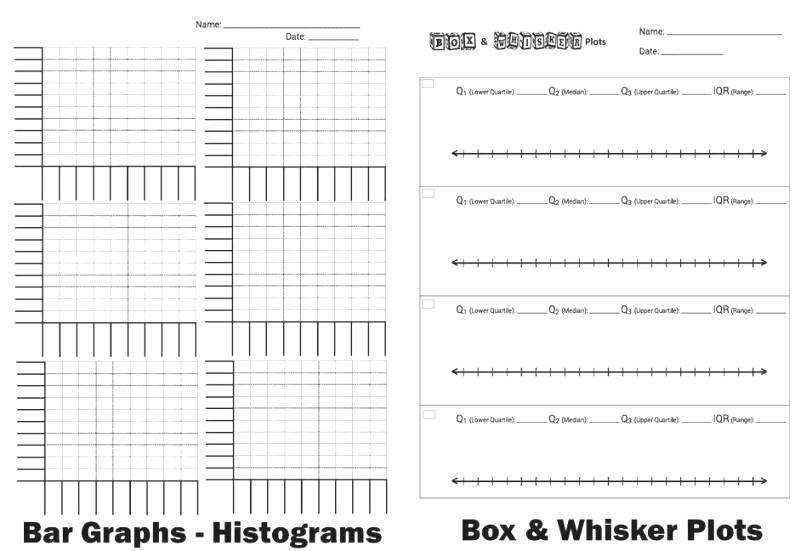 This is a single page PDF file that provides a template to complete Box and Whisker Plots. There are 4 Box and Whisker Plots on the page, but you can run the paper double sided to have enough for 8 problems. 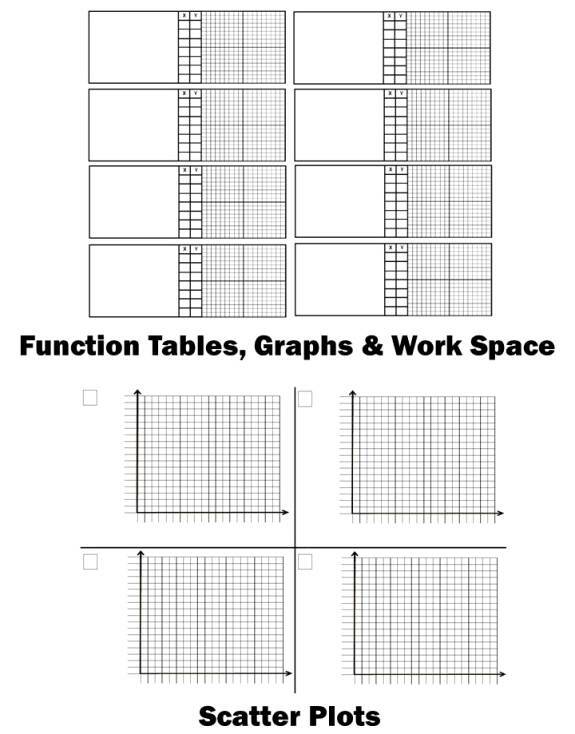 Function Tables, Graphs with Blank Work Space: 2-page PDF that provides 16 Function Tables, Graphs and Blank Work Space. This is a single page PDF document that provides the steps needed to complete problems involving the Midpoint Formula. 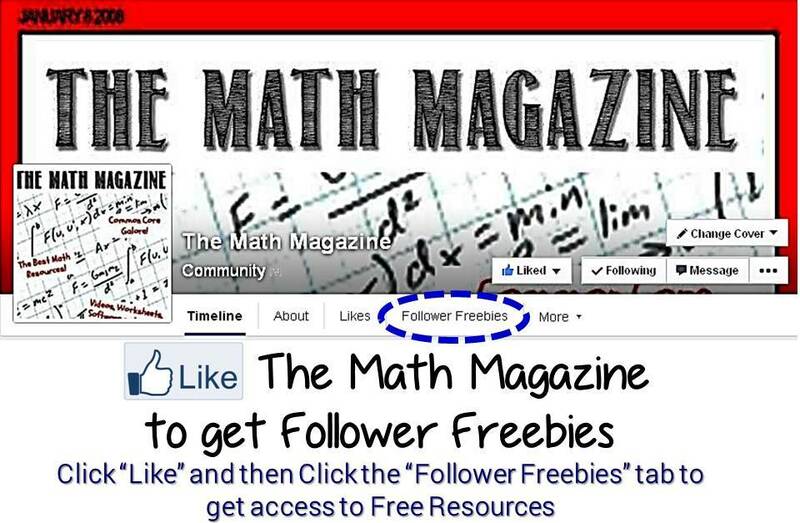 This is a single page PDF document that provides the steps needed to complete problems involving adding and subtracting polynomials. The template includes 8 spaces but can be printed double sided to provide 16 spaces. 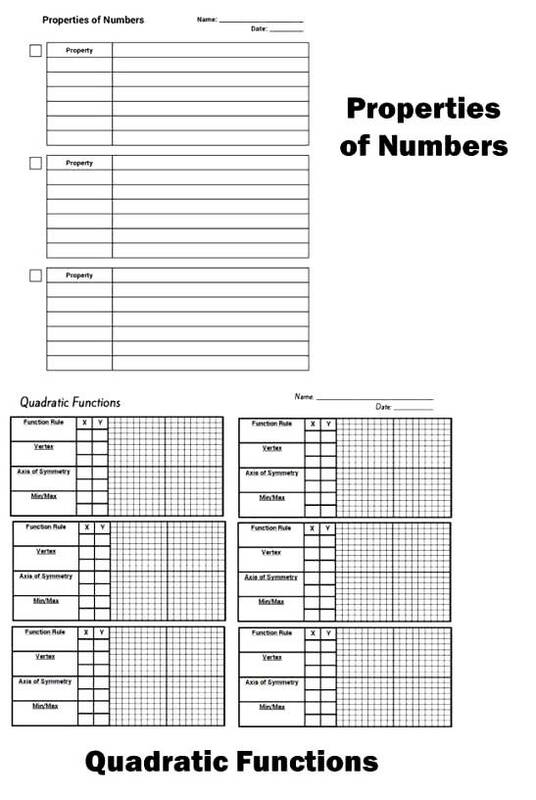 This is a 4-page PDF document that includes 12 templates that can be used when introducing the Properties of Real Numbers. 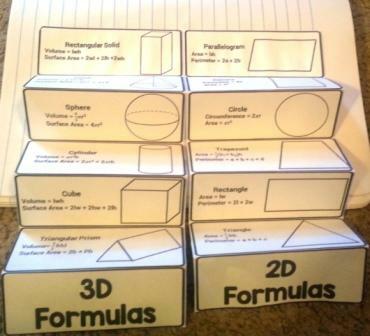 Each template is a box that provides the space for students to work each step of a given problem and label the step with the correct Property. This is a 2-page PDF file that provides 8 (4 on each page) blank scatter plot graphs. The graphs have space on the x-axis and y-axis to write in values. 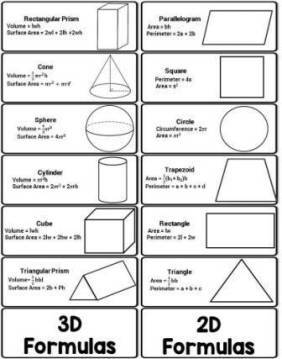 These templates make great IEP accommodations. 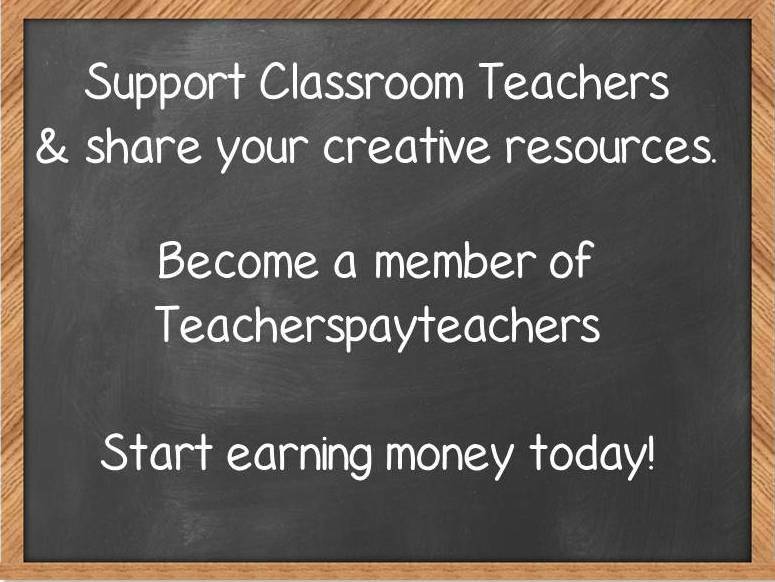 These templates can be purchased individually in my TpT Store.